Here's a little picture from a book I just finished. 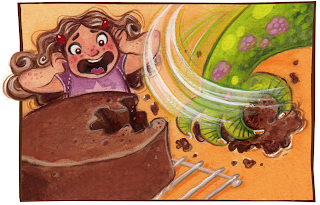 I got to draw monsters and cake, it was heaven! I'll share more soon! I love the turtle at the top of the blog, all the illustrations are great, keep posting!